Whether you are a seasoned affiliate marketer, blogger, trainer/coach, or just someone who wants to spread the word on ReadinGraphics, there are various ways to earn and grow with us. Here are some suggested funnels or approaches to consider. Write to us anytime at jvpartners@readingraphics.com if you have questions or suggestions! If you have your own blog or are an active member of relevant forums or communities (e.g. book clubs, biz/personal development groups), here are several ways to add value to your community while earning some affiliate revenues! Do you blog or share specifically about books, personal development, productivity, leadership, business strategy, wealth, LOA, or other related topics? Find the most relevant articles from our blog, generate targeted affiliate links for each of these articles, and share these links with your followers! If you blog/share more generally about reading or learning, consider driving people to our Homepage. Here, they can learn more about ReadinGraphics, sign up for our free samples/email drips or browse the blog/store/subscription pages. This approach gives them maximum flexibility to get acquainted with our offering and still leaves plenty of time to buy something within 45 days. Everyone loves free gifts. Using your affiliate link, encourage people to get FREE summaries and email tips. And even discount coupons for our store (affiliate fees apply for discounted items too!). We recommend this landing page only if you’ve done a fair amount of pre-selling via your blog, site or forum. Our subscriptions offer the best way to get access to all our summaries for a fraction of the price. You can generate your affiliate links for each of the pages above and combine them with the email swipes and banners to create your preferred referral funnel. Pre-sell the summaries and drive people directly to the Subscribe page to purchase our monthly or annual subscriptions. You can use/adapt the email swipes and banners below, and generate your affiliate links for each of the pages above. If you’re involved in people development, ReadinGraphics is the natural resource to recommend to your clients. And there are many ways to do so, depending on your business model and client needs. Visit our store and find the most suitable books for your clients (e.g. productivity & management, leadership & influence, business strategy, problem-solving, innovation etc.). Generate targeted affiliate links for individual product pages, and recommend them to your clients. If you prefer to offer free resources, search our blog for the most relevant articles. Generate targeted affiliate links for individual articles, and recommend them to your contacts as free reading material (any purchases made within 45 days will qualify for comms). Everyone loves free gifts! Using your affiliate link, encourage clients to subscribe for FREE to get access to (a) free summaries, (b) free email tips and (c) discount coupon for our store. If your clients need access to a wide range of business/personal development titles, you can recommend our subscriptions as a great way to gain access to all our summaries for a fraction of the price. Essentially, you can generate your affiliate links for each of the pages above for more targeted referrals. If you are serving a corporate client or require large numbers of summaries/subscriptions, please contact us at jvpartners@readingraphics.com for customized packages. Subject: What if you can read a book at a glance? Subject: Just 3 minutes a day to grow your business/career. Subject: Find solutions to ANY goal or challenge. Subject: Get actionable insights from top books–in minutes. Subject: What anyone serious about success must know. Do you realize that your business/career will only grow as fast and big as you? And there’s SO much to learn – personal effectiveness, leadership, marketing, business strategy….the list goes on. Imagine if you can actually get the key ideas from a book at a glance (literally), to decide which books and ideas are most relevant to you. Imagine you can zoom in further to digest the entire book in less than 10 minutes and get actionable insights that you could apply straightaway? Guess what, it’s completely possible. I just finished 3 books over coffee this morning, and it feels so good to be overflowing with ideas and insights. 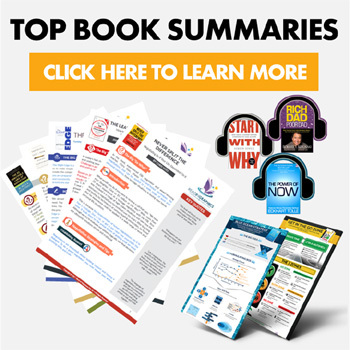 In short, we’re talking about the top personal development and business books, summarized in 1 page of simple-to-digest graphics. This means that you can see ideas at a glance, zoom in on the solutions you seek, and review them easily to connect the dots. Imagine that – insights on every possible area of your life, from business strategy to motivation, success, wealth, relationships etc., right at your fingertips. And the great thing is, each of these books can be digested in just 3 minutes flat! The best news is this. There’s a time-limited offer right now on the monthly and annual subscriptions. You can get access to 90+ FREE summaries (worth >$1,000) plus 3 summaries a month at up to 66% off the price. You get to “read” more than 120 best-selling titles in a year for just $1+ per title. Each title can be digested in just 3 minutes, and reviewed over and over again. Each title comes with an additional 8-12 page summary, so you can zoom in on details any time. Plus an audio summary so you listen and learn on the go. You have the option to download these materials so you can use them anytime, anywhere, and on any device. You get additional free tips through email. With this, you can pop as many “insight pills” as you need in a day, or zoom in on ideas for any work or personal challenge you face. The offer is ending real soon, so grab your copies of ReadinGraphics now before it’s too late! * We recommend creating affiliate links to our home page (https://readingraphics.com) or free/join page (https://readingraphics.com/join) to encourage free trial of the service first. However, if you have already promoted ReadinGraphics’ monthly/annual subscription, then you may wish to direct them to our subscription page (https://readingraphics.com/subscribe). Subject: Stop searching and guessing. The answer is right here. Subject: The answers are literally jumping out at you. Subject: Zoom in on the answers to your problems. Subject: Now, you can see the answers to your problems (literally). Subject: Every problem has a solution. Here’s how to find it. We are surrounded by so much information, it can be hard to distill it all down to what we need. Isn’t it great if answers and solutions can present themselves to us directly? Well, with this ultimate reading hack, we can literally see the answers to our problems. Imagine this: the best personal development and business books, summarized in 1 page of simple-to-digest graphics. This means that you can see insights and ideas at a glance, zoom in on the specific solutions you seek, and read only what you need. Imagine that – insights on every possible area of your life, be it business strategy, motivation, success, wealth, relationships etc., right at your fingertips. And the best thing is, each of these books can be digested in just 3 minutes flat! Imagine how easily you can zoom in on key concepts and insights that you need. Imagine how quickly you can learn from successful people from all walks of life. Imagine how intuitively you can “join the dots” across different books and ideas. What’s more, each title comes with an additional 8-12 page summary if you wish to zoom in on a specific idea or detail, PLUS an audio summary if you dislike reading. You even have the option to digest the material online or download them so you can use them anytime, anywhere! Trust me, you’ll find so much inspiration and new ideas that it is hard to ever feel “stuck” again! 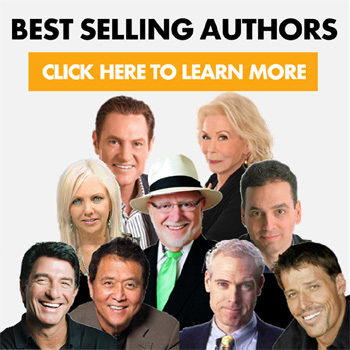 Subject: Get on the phone with Tony Robbins, Stephen Covey & T. Harv Eker! Subject: Change your Insights. Change your Life. Subject: Don’t call yourself a reader until you’ve read this. Subject: These guys have just reinvented reading. Subject: The most profound insights – literally at your fingertips. You’ve probably heard that your success is the average of the 5 people you spend the most time with. Or, you may have been told how important it is to have a successful coach or mentor to guide you. Imagine what you can achieve if you had an expert guiding you in every aspect of your life? How much faster will you learn and grow, if someone like Tony Robbins, Stephen Covey or T. Harv Eker were to spend time with you every day? Well, I stumbled upon this simple solution that could do just that! Imagine this: the best personal development and business books, by the most successful authors, summarized in 1 page of simple-to-digest graphics. Imagine taking just 3 minutes to get the essence from each of these best-selling titles. You can surround yourself with top minds, coaches, and leaders, and learn whatever you need. If you are an avid reader, the graphic summaries are the perfect to apply and review the insights from your favourite books. If you are struggling to start reading, the graphics make it easy to immediately “read” a book each day. You even have the option to read/listen to the material online or download them so you can use them anytime, anywhere! It’s like having your favourite coaches and authors with you throughout the day. Imagine how wisdom and insights you can gain within the shortest possible time. Imagine how easily you can review and revisit your favourite books and big ideas. With this, you can literally have the most powerful insights at your fingertips, anywhere and everywhere you go!